Digitizing your company seems to be a big hit right now. And for good reasons. It improves customer experiences significantly and enables bringing people virtually closer to your business. Digital services allow you to provide consumers more than they expect. Use the modules suitable for your business. If your company provides different kind of services, it can be tiring to have several platforms to manage. When everything is in the same place, you can combine and manage your events, booking, recruitment, e-commerce, and social media. Make a plan with the modules that are necessary for your needs, and expand to more later on if needed. Integrating systems on your website is as easy as copying and pasting a line of code on your website. You only need minimal knowledge of coding, so no need to hire developers to build a brand new system for you. Just copy and paste a line of code on your site. 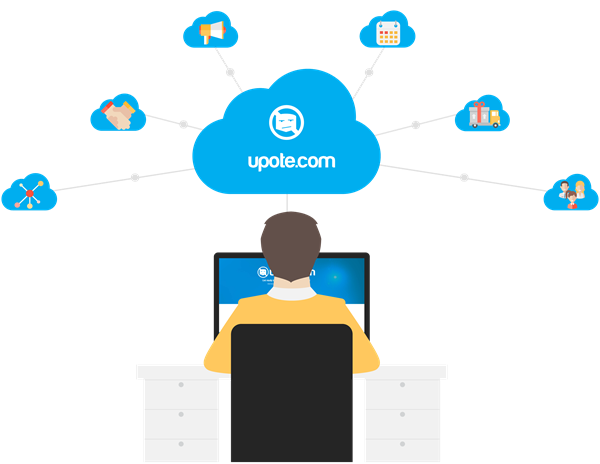 Do you want to know more about Upote systems?